Hope you'll have an Easy Friday!!!!!! Totally agree Valeria! 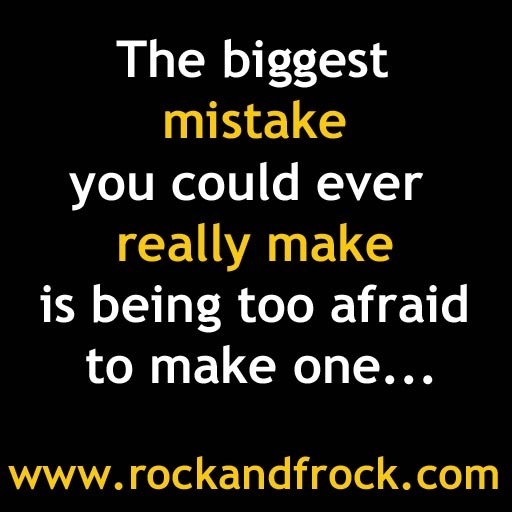 Making mistakes is the best way to learn!!! Yes, totally agree! Great inspiration for Friday!!! what would you try if you knew you would succeed?! Great! I'll keep it in mind! Have a nice week end! Well said dear! we should def follow each other! I'm following your beautiful blog! Love this quote! so inspirational! Condivido questa frase!!! è bellissima! Buon venerdì anche a te, Valeria! Thank u for your lovely comment, I'm so happy you stopped by my place, now I found your's and I'm staying!